Research the law confidently with content and expert analysis from Australia’s most trusted authors. Wherever you are, whatever information you need, our Research Solutions deliver answers to your legal questions with speed and precision. Westlaw AU delivers information you can rely on with expert analysis and commentary from trusted authors. 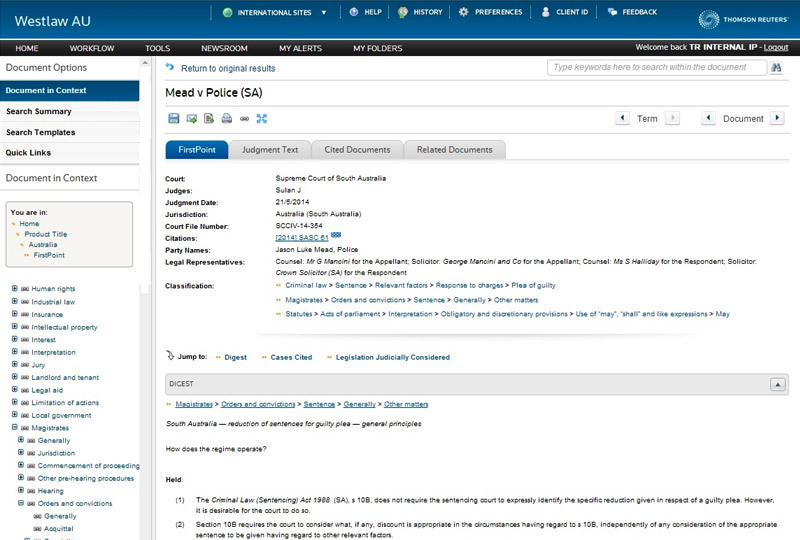 Select from over 300 products across legislation, case law, commentary, journals, news and precedents. You can be confident that your search results are comprehensive, authoritative and up-to-date. 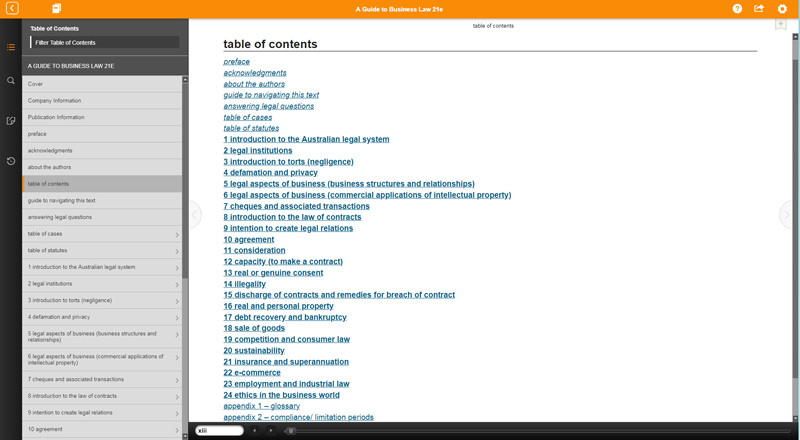 Flexible, streamlined and efficient – Westlaw AU is the answer to your online legal research needs. Find your answers quickly with this intuitive search tool and advanced database mining capabilities giving you chance to find exactly what you are looking for. Advanced filters that anticipate your next steps and narrows your results, quickly. Let the system provide you with the exact answers you are looking for. Don't miss out on any updates and changes. Use Client ID feature to allocate and track research to any reference you create e.g. client or matter codes, practice groups or employees. Set up alerts or RSS Feeds to be notified of new content across all content types. 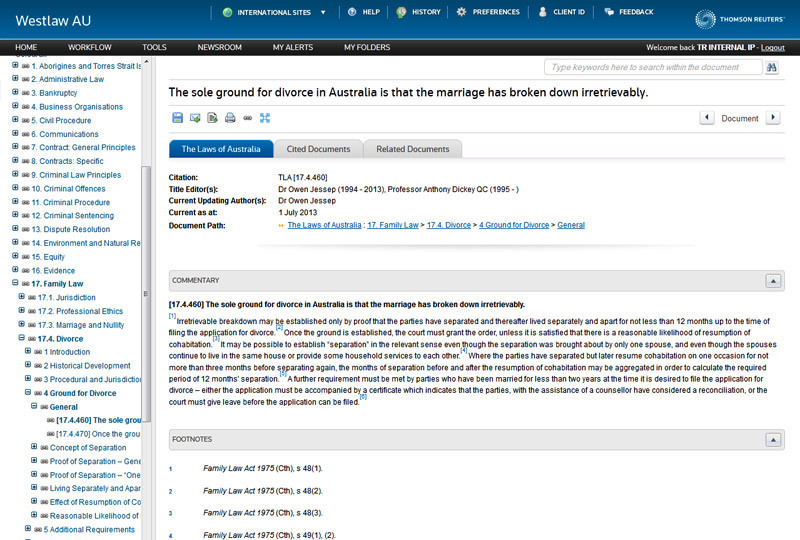 Use Westlaw AU for online case law research. 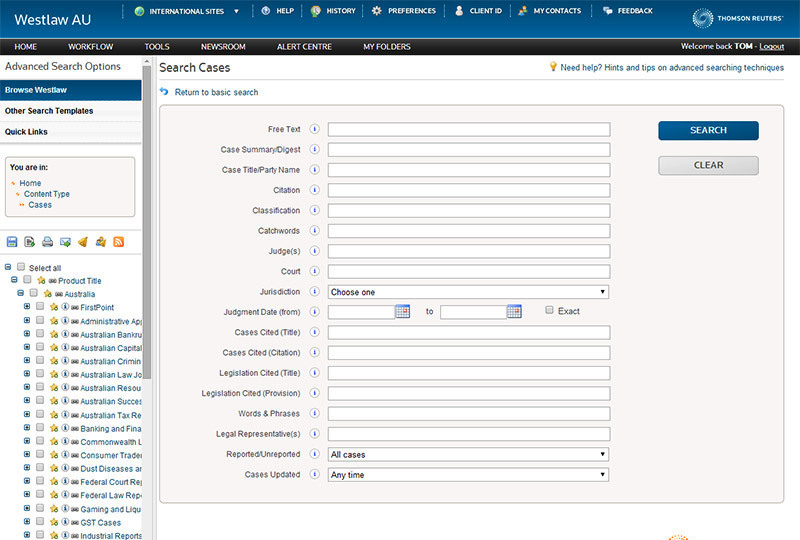 Find and navigate easily through citation information and reliable summaries of important cases. 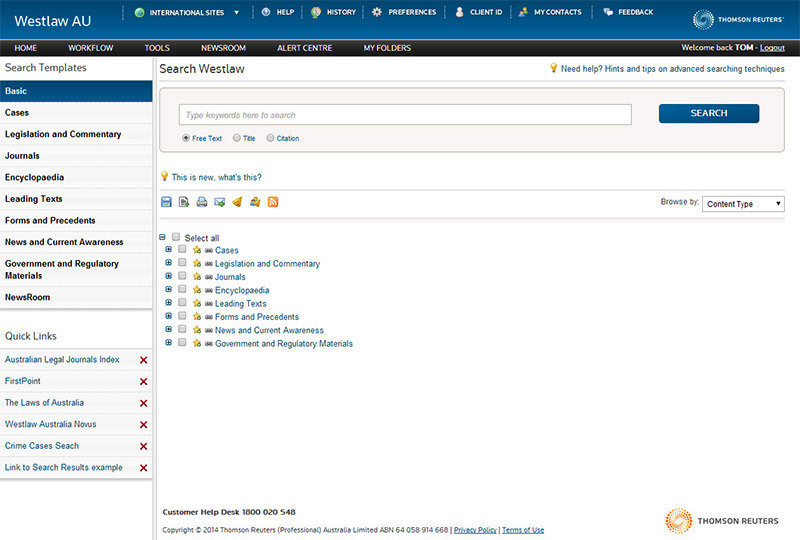 FirstPoint is only one example of products available on Westlaw AU. Access a vast and trusted legal online library with over 300 products at your fingertips. 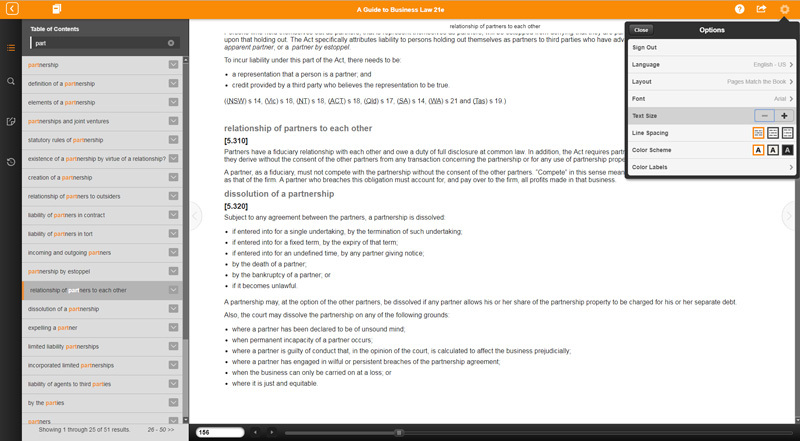 Use Westlaw to access a complete library of legal principles. Whether you search for your area or unfamiliar practice areas, you'll be able to easily find the answers you are looking for. Access a vast and trusted legal online library with over 300 products at your fingertips. 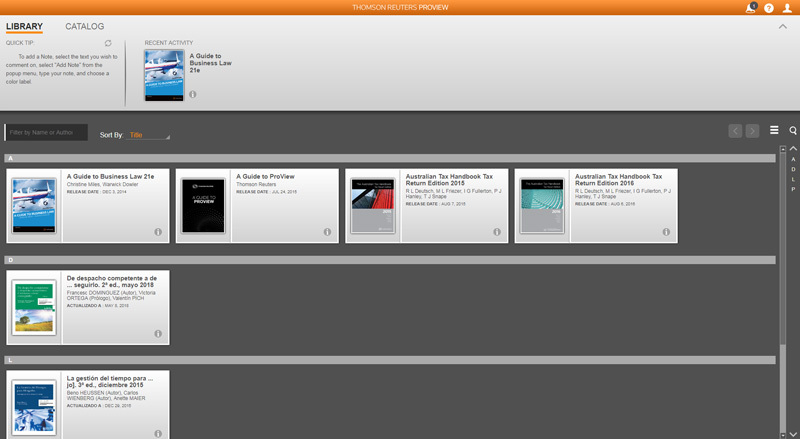 ProView is your library of eBooks and digital content services on the go. Enjoy book-like readability on a range of devices including iPhone, iPad, Android tablet and your computer. 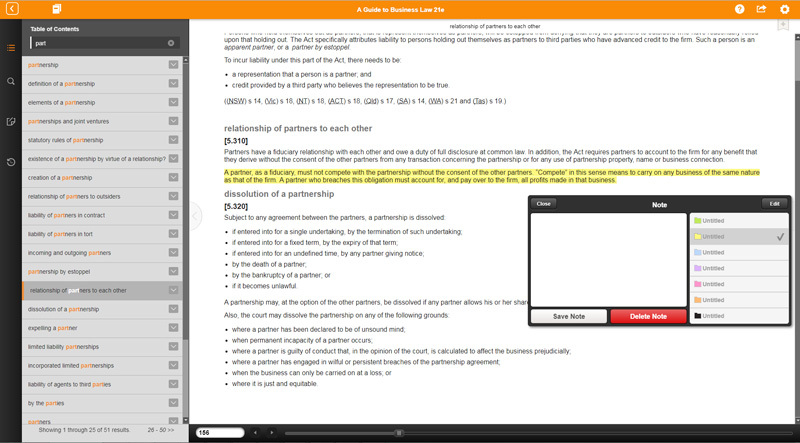 Annotate and bookmark is real time, so that you can keep record of notes as you read. Browse through our library of top legal titles from your deskptop, tablet and iPhone. 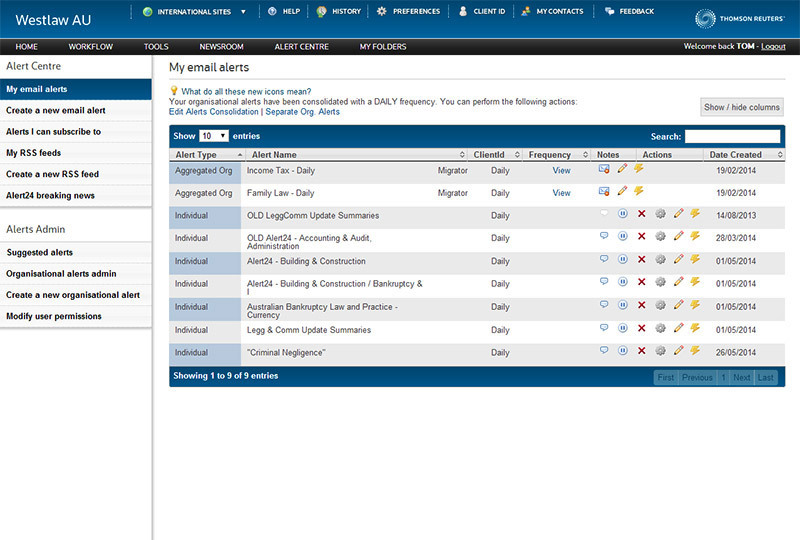 Navigate through material easily with an interactive table of contents. Enjoy easy-to-search functionality that will enable you to drill down to the content you need, fast. With a comprehensive range of practice coverage, stay up to date with developments in the law across Australia and internationally. Easy to navigate and regularly updated, this portable, take-to-Court resource is organised in a familiar, hard copy format, complements your online and electronic subscriptions. Whether you're a lawyer, barrister, legal librarian or academic, you know firsthand how important research is to your work. The good news is that legal technology is rapidly evolving, making it easier than ever for you to harness the information you need. To stay competitive in this challenging business climate, legal professionals must stay on top of the latest digital trends, which provide opportunities for greater efficiency and productivity as well as client satisfaction. In this guide we look at some of the ways research is evolving and how those trends can benefit you. Interested in our Legal Research Solutions?